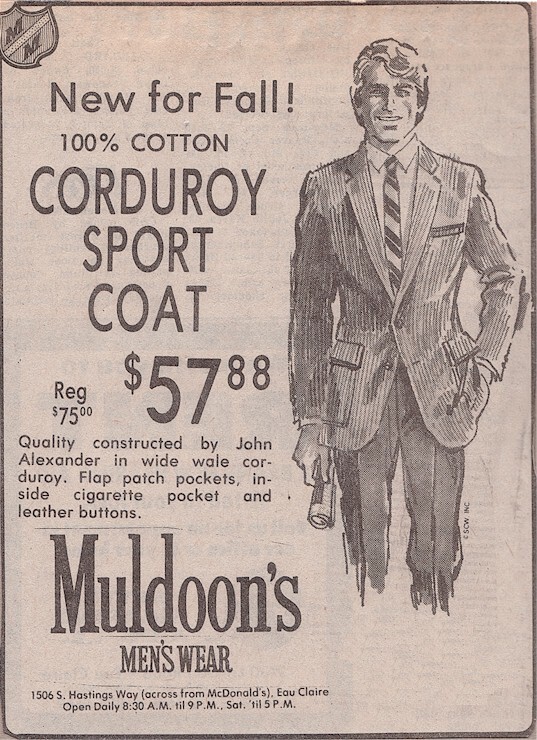 Fifty-four years later, Muldoons has been a fine neighbor to our growing community as it continues to supply the Chippewa Valley with quality garments for all builds of men. The quality of suits, hats, and casual ware stocked at this impressive store are enhanced by the great customer service that have given this fine establishment a reputation of quality and old- fashioned service for 54 years! 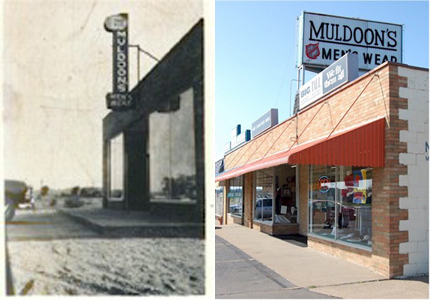 Muldoon’s has kept up with times by ordering the latest name brands and by doing a steady business on the internet at muldoons.com. Our neighborhood has remained a key quality place to live in Eau Claire since downtown started making it’s way up the hill. We know this is because it is made up of good people and strong businesses both dedicated to watching a community grow in a positive direction. We encourage you to remember the businesses that have chosen to make the Eastside Hill home for generations as many of us have. Nice article but it needs a little clarification. There is no Bob Muldoon that works at the store. I have a second cousin Bob Muldoon that now lives Minneapolis. He used to live on West Grand Avenue. We have a Bob Osborne that works here. Maybe that’s were you got the name from. 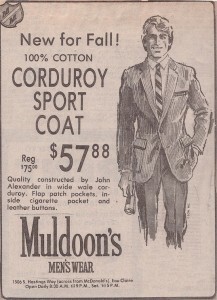 It’s now 60 years that we have been in business (quality clothing since 1950), still selling high quality clothing. Like my dad used to say: stop in and browse around!